For about a year, I worked for a small nonprofit in my home state. There were six total employees, two of whom worked remotely. My job was a combination of communications and administration and included tasks like managing all the social media platforms, writing emails and updating the website, plus managing the accounting, creating invoices, paying bills, organizing direct mail, restocking the office supplies and coordinating with vendors and donors for events. I was busy, to say the least. If this sounds familiar, I wouldn’t be surprised. Many funeral homes have a small staff and divide up multiple responsibilities among them. Not only are you running a business, which takes time and supplies, but you’re also working with client families during a very emotional time in their lives, plus taking care of their loved one. 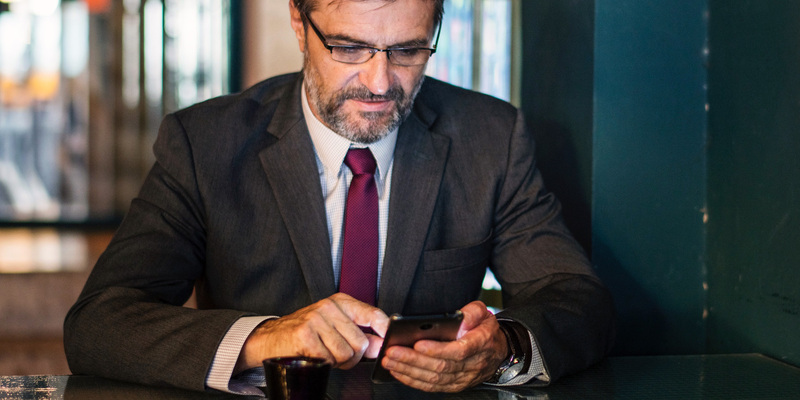 Funeral professionals are busy, but luckily more and more digital tools have been created to help busy professionals gain hours back in their day. Take a look at the list below to learn about time-saving tools that could help your daily life. Have you ever sent multiple emails with large photo or document attachments to your coworker because you ran out of email space? We all have, but utilizing a tool like Dropbox can help you share large amounts of files in a snap. Dropbox keeps almost any kind of file type saved in one location and allows you to decide who to share it with. Do you have 50 photos from a recent event you want to share with someone? Add them to Dropbox and email a single link to your coworker. They’ll have access to them 24/7 until you decide to stop sharing. The basic platform is free, but can also be upgraded for a fee to several different plan types to fit your needs. Much like Dropbox, Google Drive is a cloud-based storage site for your files. It’s great for sharing large files between people and coworkers, plus it comes standard with any Google email account. The real MVP of Google Drive, however, is Google Docs. This service functions just like many of Microsoft Office’s programs, but the tools are free and allow for real-time collaboration with your team. Google Docs features Docs (similar to Word), Sheets (similar to Excel), Slides (similar to PowerPoint) and Forms. You can share any documents or projects with multiple people, download mobile apps that allow you to work on-the-go and watch as people you’ve shared your projects with make changes or additions. Google Docs is also free with a Google account. In one of my other previous jobs as a writer, I used Grammarly constantly. This program is an artificial intelligence (AI) based editor that helps you become a better writer, no matter what you’re working on. All you have to do is add the AI to your browser (don’t worry, it’ll walk you through the process), and it will automatically start checking your grammar and spelling on platforms like Facebook and other social media apps, email and project management systems. Not only will it check for technical writing errors, but it also looks for style and tone inconsistencies. This add-on is perfect for anyone who posts on a funeral home’s social media accounts or writes a lot of emails to client families and vendors. The myHomesteaders® policy management app is a way to quickly access your myHomesteaders® dashboard on the go. It features detailed policy information, built-in notifications to alert you of changes or lapses and allows you to find policy information when you’re meeting with a family, no matter where you are. Plus, it’s free to download and utilizes your existing myHomesteaders® dashboard login information. No time during the day (or night) to grab food? Don’t let a busy work schedule keep you from getting the energy you need. Food delivery services like GrubHub and DoorDash connect with local restaurants in your area to bring you good food when you need it. Using a smartphone, you download one of the apps and set your location for delivery. The app will find participating restaurants in your area and allow you to order food from your phone. A driver will then pick up your food and bring it to you, whereever you may be. The app itself is free and also occasionally features discounts and coupons for local food. Have you ever had a great idea for a logo, direct mail piece or brochure, but you weren’t sure how to start or didn’t have time to work on it? That’s where UpWork and Fiverr come in. These hubs make it easy to grow your business by connecting you with freelancers all over the world. Whether you need a graphic designer for a logo or a writer for a letter, UpWork and Fiverr can help – at a reasonable price. Fiverr features fixed prices, while UpWork promotes both fixed and hourly rates. There are only so many hours in the day, so why not try to make the most of them? The tools above are all easy to use and designed to make your life more efficient. Did we miss any of your favorite time-saving tools? Let us know in the comments.